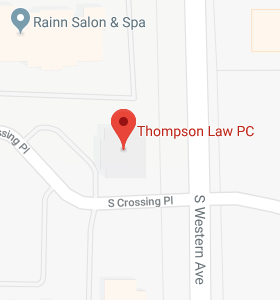 Estate Planning: Simple is not Always Better - Thompson Law, P.C. Estate planning contemplates two different general time periods: During life and after your death. 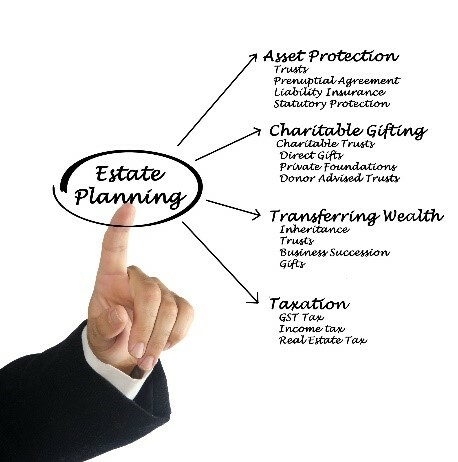 Estate planning needs also vary based on the goals you are trying to achieve. For example, after death, do you simply wish to transmit your assets, or do you wish to provide your loved ones with asset protection, tax protection, divorce protection, or other benefits? In my previous blog, I examined the simplest estate plan: doing nothing. In this blog, we’ll look at a plan which is very simple, but which does not include a trust. A simple, common plan without a trust often includes holding title to property in “joint tenancy with rights of survivorship,” or simply “joint tenancy.” Joint tenancy transfers your property to the other joint tenant at your death. However, while it accomplishes the goal of transmission of the property at your death, it also puts the property at risk during your lifetime. With property in joint tenancy, the other joint tenant is an equal owner of the property. This form of ownership might be acceptable with a spouse. But, you’d typically not want your children as equal owners. Further, joint tenancy ownership exposes the property to the creditors of the other joint tenant. For example, let’s say you own your home in joint tenancy with your son, Johnny. Let’s say Johnny is out late partying and is involved in an auto accident while drunk driving. The others involved in the accident, including Johnny’s passenger and the family he hit, all file suit. They get a judgment of $1 million against Johnny. They can collect the judgment against the assets Johnny owns, including your house which he owns in joint tenancy with you. This may be an acceptable risk in some situations, but not in most. About half the states allow real estate to have a beneficiary designation in the deed. If Johnny were the beneficiary rather than a joint tenant, his creditors could not go after the property during your lifetime. However, Johnny’s creditors still could go after the property after your death when Johnny inherits the property from you. A better solution in this case is to hold the property in a revocable trust. First, if you become incapacitated during your lifetime, the trustee you designate could step in to manage the assets until you recover. Next, the trust could continue for your beneficiaries after your death. Depending upon the provisions you include in your trust, it could provide asset management, divorce protection, or even creditor protection for your beneficiaries. Similarly, you could leave assets such as IRAs and retirement plans directly to your beneficiaries at your death. That’s certainly simple. However, those assets would have no creditor protection (at least at the federal level) after your death if you leave them outright to your beneficiaries. You could leave those assets to your beneficiaries in trust. Using the trust “wrapper” you could obtain asset management, divorce protection, and even asset protection, depending upon the terms. The simplest ways to leave your assets typically are not the best. The simplest of plans typically do a disservice both to you and to your beneficiaries. A more robust plan using a trust could provide for you during your incapacity and would provide the protections you want for your beneficiaries, whether that is asset management, divorce protection, or creditor protection.